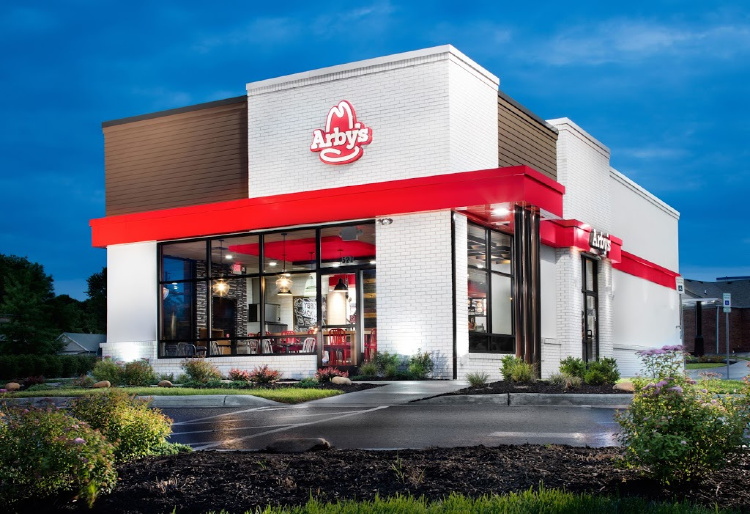 If you join Arby's email list, you'll get a coupon for a free signature sandwich with any soft drink purchase. So buy a small drink and you'll get a free sandwich. Make weird bird noises at the people sitting next to you, causing them to leave before finishing their fries, and you've practically got a free meal! Don't let the title fool you either. No Arby's employee will sign their John Hancock on your sandwich without your explicit request. That'd be weird. The free sandwich coupon expires 7 days after you sign up. Joining their email list will also get you the Arby's birthday freebie! As of 2018, it was still a free small shake with any other purchase. I sometimes forget whether or not I've posted this offer (turns out I have!) Some might say I'm forgetful. To them I'd say … wait, what are we talking about again? Who the heck are you? WHERE AM I?!?! Food, In Store. This post may contain affiliate links. See my disclosure policy for details. How long can you sign up for & still get the coupon? I’ve got a bit of a stomach illness right now, so I’m hoping it’ll still work a couple weeks out! While this is currently a “limited time” offer, my experience is that Arby’s runs this type of promo very frequently. You can probably wait a few days, then sign up for the coupon and trigger the 7-day clock then! Printed 3 coupons for my family. There’s an Arby’s right around the corner from my house, this will be our dinner tonight. Thanks Goob. After I got my son a free shake at Steak & Shake I went right next door to Arby’s for the free sandwich. My almost 15 yr old son is eating me out of house and home. Thanks for the freebies! Sigh, free (delicious) sandwich today, two free (delicious) tacos yesterday… and I wonder why my face is breaking out! My local Arby’s had a sandwich ready for me this morning, as I go by there every day for coffee before work. Took my sandwich to work with me for lunch. It was a deliciously filling sandwich!!! Can’t beat the price!! I will be disappointed when the Wednesday freebees are over. I got my roastburger yesterday…I even got one for my husband. All I had to buy was 2 small drinks. YAY!! Last week we did the same thing with the Regular Roast Beef. I have to say, I really didn’t care for the roastburger as much. Thanks for tips. This is my new favorite blog! Thank you so much for your tips! I took advantage of the Tigers homeruns and got a free roast beef sandwich at Arby’s. It was perfect because the weather was crappy and I didn’t feel like cooking. Thanks again! This is the best website ever! What a great deal………. It worked for me and I’m a happy camper…….. Thanks again, Goob. I’ve gotten more freebies the last few months since I discovered your web site than ever before. HEY ITS FREE is the best, and you’re quite appreciated!!! When Arbys was running the promo in December I was traveling from NC to NJ (12 Hour RIde) I mapped out several Arbys along the way and only had 1 Arbys that had never seen the coupon before. Both me and my fiance went into each Arbys to get a sandwich with no problems. We were also traveling with our pet dog and he enjoyed them also. We had a cooler with drinks for the ride so we alternated what we bought to get the free roast beef , potato wedges or dessert. What we saved in food helped pay for the gas for the trip. Now that just freaking rocks. just had these for dinner tonight and ALL FOUR OF MY KIDS LIKED THEM!!! to any mom thats music to your ears. they have 3 different kinds to chose from. we all had the bacon cheddar burger. i fed all 6 of us for less that $10. thanx for the heads up with this deal! Those RoastBurgers are really good! I had one last week and it was better than most fast food burgers. After I paid, they gave me a coupon for free curly fries the next time I purchase a RoastBurger, so be on the lookout for those.